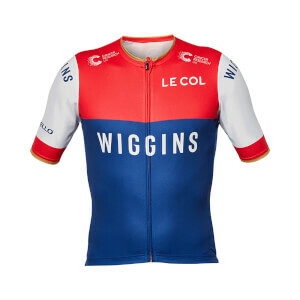 The Le Col by Wiggins Sport Jersey features a new giro sleeve construction in the standard relaxed sport jersey fit. 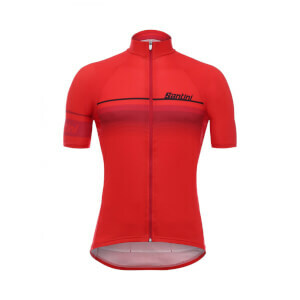 The jersey construction uses a quality lock down zip for ease of use at high speeds and a silicon gripper at the waist hem to hold the jersey firmly in place. Inside the jersey has soft touch seams and a chin guard to ensure the jersey is comfortable when fully zipped up. Additional features include three large pockets with a waterproof hidden valuables pocked on the rear right hand side and gold reflective strips for visibility on the road. The fabric of the jersey is a polyster chosen specifically for it's soft feel next to the skin.